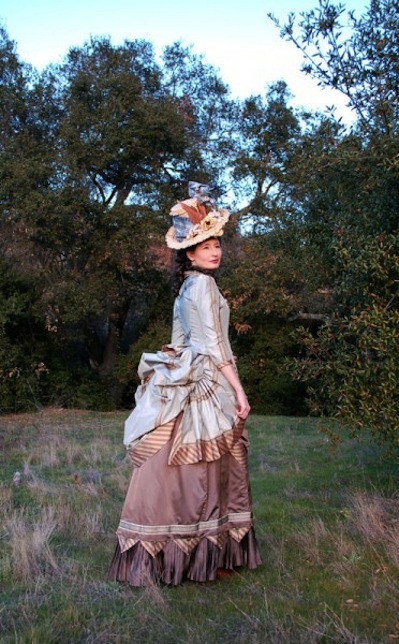 Lauren is a talented costume designer for film and theater productions who has a passion for historical fashion. She chronicles her historical research, progress, and finished projects on her blog, Wearing History. Covering women's fashion from the 1700s to the 1950s, it's a great resource for anyone interested in historical costuming. 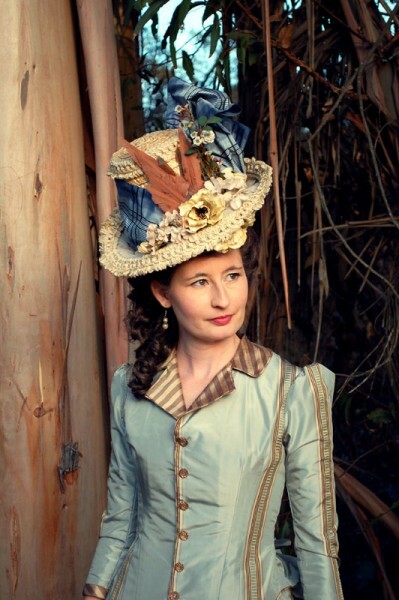 Here, Lauren models the 1880s Victorian bustle dress and hat that she created. We love the muted color palette and striped silk taffeta trim. Lauren began collecting vintage patterns as a teenager, eventually amassing a treasure trove of patterns, some of which she has transcribed into e-patterns that are available for download via her etsy shop, WearingHistory. She also sells the occasional piece of vintage clothing, along with unique finds like this booklet from 1882 (which you can download & print), instructing women on how to ride a horse sidesaddle.